No one likes getting an energy bill, so opening the envelope to find not one but two, or even three bills, all with different amounts owed, can be quite a shock. Being unable to get through on the phone to find out what the heck is going on just compounds the frustration. But that’s what has happened to some CPS Energy customers, because of decisions we made several months ago that have had cascading negative consequences. We’ve been working overtime to fix the problems and we want you to know: we’re sorry. CPS Energy is committed to making customers whole by ensuring that despite the snafus, customers will never pay for more energy than they actually consumed–they just may pay on a different schedule. What follows is a full explanation to our customers to help them understand what happened, as well as what we’re doing to fix it and make sure it doesn’t happen again. Over the past several years, CPS Energy has reduced its meter reading staff, not through layoffs, but by not replacing people when they retire. The growing use of digital meters, which need fewer readers (they can drive by in a truck and get readings electronically), and the future use of smart meters, which don’t need readers at all, made this a logical and prudent business decision. But in the interim period, before those meters are fully deployed – likely by 2017 – CPS Energy hired contract meter readers to fill the gap. It became apparent during the summer of 2012 that the contract meter readers were making too many errors. The contract was ended, and CPS Energy then relied on existing staff and increased the number of estimated meter readings. Estimating meter reading is not unusual in the utility industry. All utilities estimate a small percentage of their meters. Estimates are usually done when meters are inaccessible, by locked gates, shrubbery or dogs. CPS Energy has always estimated some of the more than 1 million meter reads it must do each month, often less than 1 percent annually. It’s important to understand that under normal circumstances, when a meter is estimated (based on past usage, time of year and other factors) one month, it is corrected the next. A customer will never ultimately pay for more power than she uses. But as the months wore on, CPS Energy found itself estimating some meters multiple months as it sought to make up for the meter reader shortage. By December of last year, more than 22 percent of meters were being estimated. As the number of estimated reads increased, the number of “unbillable accounts” also increased. That means CPS Energy’s automated billing system was rejecting accounts because of all the estimation, and sending bills to another area to be manually double checked. Unbilled accounts began increasing much faster than customer service staff could manually correct them. When some of the corrected accounts were finally released to be billed, some customers received multiple bills, some owing a substantial balance, since they hadn’t received a bill in months. Many customers, not surprisingly, presumed these bills were the result of a billing system error, not realizing they hadn’t received a statement from CPS Energy for months. As more customers began calling in, CPS Energy’s phone lines and customer service staff became overwhelmed. Customer complaints reached the media, which called for an explanation — and for compassion for those hardest hit by big bills. By then, CPS Energy had already launched an internal review, and authorized customer service representatives to use more flexibility to deal with affected customers, such as extending due dates and creating payment arrangements. Customer service reps have been given greater flexibility to work with customers to resolve billing problems due to estimated meter reads. By March, the number of unbillable accounts had grown to more than 40,000, with more than 1,000 new ones entering the system each working day. In February, a new contract for temporary meter reading staff was put in place. Training was completed by June. These contractors are still in the field today, and their results are reviewed daily for accuracy and completeness. Customer service staff had also requested help clearing the backlog of accounts. Because customer privacy is important, not just anyone can be hired and then immediately start working with customer data. From mid-March to early May, 36 temporary support staff were trained and authorized to make corrections to billing data. Thanks to tireless efforts and dedication of our customer service staff, all backlogged accounts were corrected and bills rendered by July 30. In July, 98.9 percent of the meters were read. CPS Energy will continue to estimate a small portion of the 1 million total each month, but as digital meter installations increase, that number will continue to shrink. The call center also increased staffing and extended hours to better accommodate customer needs — but with the usual higher summer call volume, wait times are still longer than usual. As we continue to resolve billing questions, we urge customers to call during off-peak hours if possible, such as late morning and early afternoon. 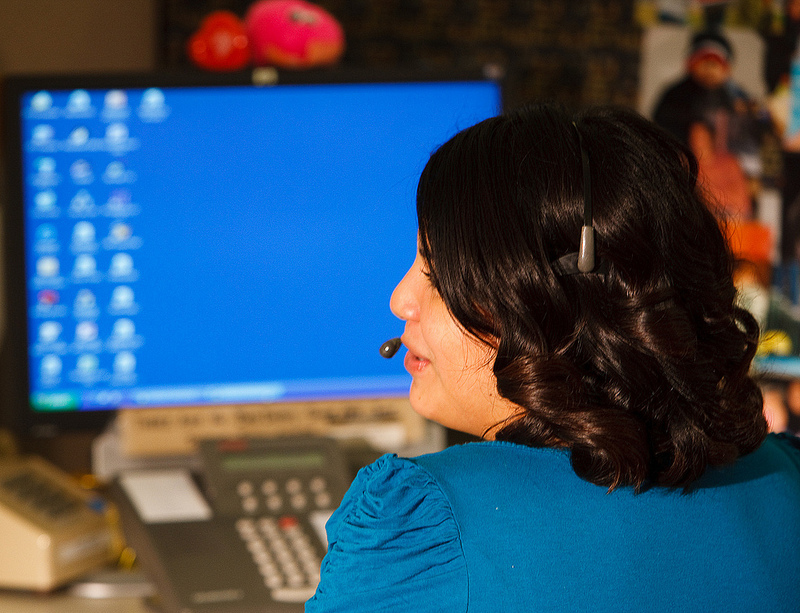 Noon, and between 4 p.m. and 6 p.m. are our busiest call times. Using Manage My Account at cpsenergy.com is another alternative: customers can start, stop and transfer service, set up payment plans and confirm that payments have been received. CPS Energy has reviewed the circumstances that led to these billing problems. Decisions were analyzed and procedures have been put in place, including greater communication across departments, to make sure nothing like this happens again. CPS Energy has been proud to rank high in customer satisfaction in the past, she noted, and employees are working hard to regain that place with customers. As part of that process, we offer a sincere apology for the inconvenience caused to the real owners of CPS Energy — you, our customers. I really appreciate this blog–it’s about time! I’ve been feeling angrier and more frustrated as this has gone on since the November readings at my Alamo Heights properties. During the spring, one house was estimated three months in a row! Most of the errors led to overcharging, although at one house there was also undercharging. I’ve lost count of how many times I’ve called CPS–about 20, I think! Part of the frustration was that customer service representatives never could tell me what was going on with my records–their guesses were often wrong, which led to further screwups in the process. I’ve now gotten “multiple bills” at least four times, and this month was unbelievable–a bill for $204 when I was only in the house 9 days, with both units set at 90 degrees! This one claimed to have been read, but the multiple bills say that date was estimated. What do I believe? I hope you can understand my frustration. I think more interdepartmental communication would go a long way toward alleviating our distress. (By the way, all reps were very polite and nice on the phone–they just didn’t know what was going on). Thanks for allowing me to vent. I certainly wish you well in your improvement plans. Nice write up but can we (the customers) give a nice write up in lieu of paying our bill? NO, that would be the answer! I received six (6) bills in one month alone! All were incorrect. Yet if I don’t pay the bill I get a disconnect notice. Great job CPS, NOT! Fix your billing system before you (CPS) beg for more money to pad the profits. The billing system should be a basic function of an organization that’s been around as long as CPS has to make these types of mistakes and then just say “sorry for the inconvenience… blah,blah. It’s a shame that consumers have to be on the wrong side of this type of monopoly without much recourse. If you still haven’t gotten our billing screw up squared away — did you ever get a final corrected bill? Did you call about setting a plan, if you need one? If not, let me know and I’ll get someone to help you on the double. Thank you for your response it’s nice to see that money is being spent on complaint mitigation. Yes I have called and no I have not received a clear answer just as one other person posted on their Blog. I don’t need help in making payments either. What I would like is to get my money’s worth, the customer service part. By this I don’t mean to get the passive answers through this medium, what I would like to see is the errors corrected. CPS just took more than $400 this month of my money it’s only fair to get that much back in value. It’s great to see that we can air our concerns via the Blog but please tell your superiors that it’s not just for us to write and you to read and respond, have them fix it. If CPS doesn’t have enough meter readers than that’s an internal problem that should have been fix long ago and not to be used as an excuse to tell the customers that that is the reason the meters are being guessed at times and not read all the times. Thank you and I do appreciate you at least reading this and hopefully something positive will come out of this. I hate you cps! As soon as another company moves in im done with you! I was always on time until the lapse in meter reading. Dont play dumb and say you werent rehiring on accident . You knew about the record bonuses you were planning . Enjoy it now because when rich ppl lose their jobs they fall hard . I hope your families suffer the way mine has. Maybe it will finally make you humble. Just paid a 296 dollar cps Bill for a 910 square foot apt set at 79 during the day, frustrating thing is trying to call in at 8am to give the confirmation nbr, being told it will be an 8-12 minute wait but still sitting here waiting for a callback now at 1 hour 38 minutes. Suggestion add a menu item to the phone that allows confirmation number and amount paid. Cps energy has monopoly over the electric they can do what ever they want to us. My bill shouldnt be 140-160 a month as it is and this month has sky rocketed to 212 and i have been trying to do everything i can to conserve energy. I also live in a 900 sqft apt. I think they hit us the hardest. I used to live in a 20 year old 1800 sqft two story home and was able to keep my bill between 140-165 a month. It makes no since and they can mess with the numbers all they want and us not know anything. I cant wait for CPS TO GO UNDER. Hopefully we can get another electric co in here before i die and we can all breath alittle easier and maybe live comfortable for a change. I’m sorry your bill has jumped up, and there are many reasons why it might have, including that the hotter it is outside the harder your a/c works, which then increases your bill. If your home is poorly insulated, that can also increase bills. We have several programs that could help, please check out cpsenergysavers.com. But if you believe it’s incorrect, please give us a call and we can look over your past bills, check your meter and make sure it’s accurate. You got me, Alan. I’m a robot. We recently got a call that they had under charged us for the last 6 months and that we now had a balance of $706. Why do we have to pay for YOUR mistakes. YOUR mistake your problem. A responsible Co. would eat their mistakes and not inconvenience their always paying on time customer with an unexpected burden. My husband is out of a job and I hold 2 jobs right now. This is horrible. They did offer to spread the bill over 12 months. My question is how can I even trust that you are not just plugging numbers and trust that your mistake is actually corrected. like I said your mistake your problem. Maybe loss of this money would push CPS to have better quality control and more accurate readings. CPS did the same thing to me my last month bill was 15 times higher than a regular summer month, today they sent a final correction instead of charging all on a single month they split the difference on 8 months XD. I’m tired of CPS Energy is useless to call with customer support, just to hear ” We are a city owned company”, like a license to rip off customers without consequences. I also got a phone call last week and a bill for more than $400, which allegedly was because of mistakes by meter readers going back to November of last year. I echo the complaint of others – why should we have to pay for the mistakes of management. Obviously management is NOT doing a good job if they cannot manage to bill customers correctly. Will I get another bill in 6 months demanding more money? When can you assure customers that we will NOT be billed again for gas and electric usage six months ago. How far back can you go on bills? This is outrageous. If Wal-Mart called me up and told me that I had not paid the correct amount for an avocado I purchased because their cash registers were not properly set up, would I have to pay the additional amount? Of course, Wal-Mart is not likely to try something like that. But CPS? My friend just called me in tears saying she would not have power for her babies on Christmas because of a bill that has to be a discrepancy. She went down there and they still told her their hands are tied. Who does that to a mother of two that works very hard just to even afford Christmas. Why won’t anyone help the taxpayer. But there’s plenty assistance if your dead broke in this city. I have a big house but it’s less than 5yrs old. not to mention my bill fluctuates one month to the next. this first happened to us in Dec.2014 no one would even address the idea that there could have been some sort of mistake, just pay the bill or don’t and we will come out and turn you off! Then in Oct.2014 they did just that, we had a pay arrangement, and CPS changed the due date and turned us off. They turned us back on but what about the damage done this caused great hardship between my wife and I. You guys may not understand the hardship something like an electric bill can cause, but when money is tight it can really affect some families. My CPS bill shows it was read on 01/28/15, my previous reading i had a 2,366 consumption to find out this last reading my consumption shows 6,041, more than double the use of electricity that is unexplained, i spoke to cps rep and they could not give me a clear answer, there hasn’t been any changes in my household habits or appliances, i do think that the meter is not reading accurate but that’s a battle i cant win against cps its their meter and their response was their meters are accurate. That doesn’t make much sense. If Jose’s bill jumped more than double, there would have to be an extra MONTH in that bill, not a few extra days. It seems like he was billed for 2 1/2 months in one bill! Even if you add in the cold temp factor, it wasn’t THAT cold to justify the bill increasing 2.5 times. My bill was for 12/30/14 to 1/29/15, and my cost per day was $2.02 for Jan ’15 (31 days) compared to $1.34 for Dec ’14 (34 days). I live in an apartment, haven’t changed anything, no new appliances. Don’t try to say it was a few extra days, because it was 3 days LESS, and it wasn’t any colder in Jan than in Dec. My friend had the same thing happen to her, and she was told the meter is digital so they won’t come out to read it. Seems like a trend that people’s bills are rising unexpectedly. Can we get a straight answer?! THANKS FOR THIS POST MY BILL HAS SKYROKTED TO $700 DOLLARS AND I HAVE NOT RECIEVE A BILL OR A CUT OFF NOTICE I CALLED ON SATURDAY AND FOUND OUT THROUGH THE AUTOMATIVE SERVICE. I HAD MAD PAYMENT ARRANGMENT ON THE PREVIOUS AMOUNT AND IT WAS APPROVE NOW BEING A SINGLE DAD WITH TWO CHILDREN AGES 10 AND 8 THIS BILLS IS HARD TO PAY. I AM JUST STARTING BACK TO WORK AT A CHARTER SCHOOL AND I HAVE CHILDREN WITH SEVERE ASTHMA AND I HAVE MEDICAL ISSUES WHAT DO I DO IF THEY REFUSED TO MAKE ANOTHER PAYMENT ARRANGEMENT. This blog entry was posted two years ago, yet this problem is still happening, at least to me. Once we had solar panels installed, we couldn’t get anyone to come out and read our meter. I tried calling multiple times, but there was always that recording that said they were only taking calls from people experiencing outages, or the line would be disconnected, or I’d be put on hold but would have to hang up because I’m a teacher whose lunch break ended and had to get back to class, or something. It was a nightmare just to get through to a human being who could talk to me, and then they couldn’t ever help me. Finally last month, I got two months worth of bills together, which is definitely a hardship. But now, the exact same thing is happening again. The customer service reps were always nice and professional, and I really tried to not take my extreme stress and frustration out on them (I hope I succeeded), but CPS really seems highly unprofessional and unconcerned with its customers. There is no accountability or consequences for them because they are the only game in town. I would like a full review of my usage and billing starting with the year I began services at the Park Vista Dr property. Once I had the Home Manager/Smart meter installed, my bills went up at least double. I requested this same investigation at the beginning of this year, with nobody taking any accountability for following up or refunding me any amounts overpaid. There are documents I created and sent to you regarding usage and overbilling. I understand this is a wide spread known issue with many CPS customers being overcharged and I suspected this was the case. Please review my previous communication regarding this matter, previous documentations I sent and a full review of my billings as a customer while at the Park Vista Dr property since Oct 2011. I will be following up with the news media as well as legal to make sure this is taken care of. CPS fails to send billing statements online or by mail and I went months without any bills even being recorded March and April 21015 as well as August of 2015. This is concerning from a utility company of your caliber. Please have a manager review my concerns, as any previous communication has not been handled at all, I am requesting a review by a higher authority to have this issue resolved immediately. Thank you for the apology. CPS monopoly…I forgive you. BTW I cannot pay my bill because you made it outrageously high.